We would like to introduce you to our new Head of Sixth Form, Bill O’Brien-Blake. Bill O’Brien-Blake brings extensive experience of teaching A Level and supporting young people through the challenges of Years 12 and 13 and on to the next stage of their lives. Bill will join us in September from leading independent Forest School in London, where he is Assistant Head of Sixth Form. His career spans UK and international schools, the independent sector, maintained schools and the innovatory London Academy of Excellence Free School Sixth Form in Stratford, popularly known as the ‘Eton of the East End’! Bill read Philosophy, Politics and Economics at St Anne’s College, Oxford, before completing a Master’s degree in International Relations at the London School of Economics. Since beginning his career in 2011, Bill’s work has taken him to Brighton College in the UK and its first overseas branch in the United Arab Emirates, the London Academy of Excellence, a free school Sixth Form in Stratford, East London, and Forest School, also in London. 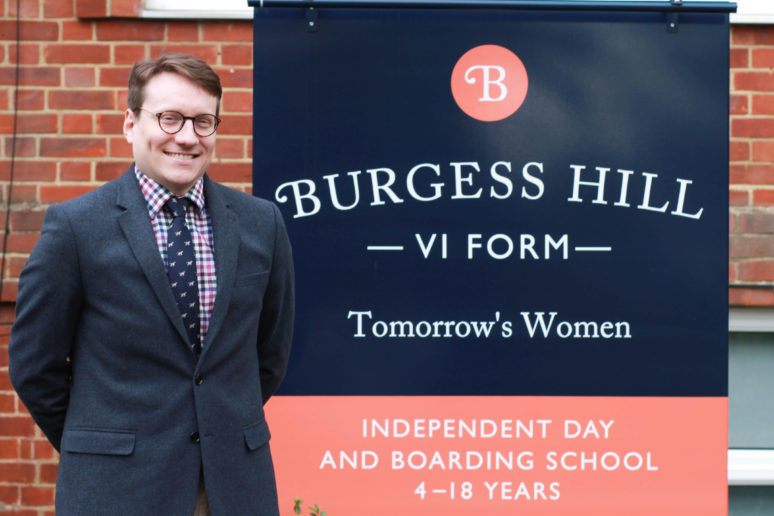 At Forest, he is Assistant Head of Sixth Form, running the school’s higher education support, developing subject and application guidance, training Sixth Form tutors, and supporting pupils through their university applications. He also teaches Government & Politics and Economics, and was graded ‘outstanding’ during his on-the-job teacher training. Bill constantly seeks ways in which he can develop his teaching practice and deepen his subject knowledge further. Last year, he was awarded the British Association of American Studies’ Barringer Fellowship, which took him to Thomas Jefferson’s home in Virginia to create teaching material on American history and politics. This year, he was awarded a place on the UK Parliament’s Teacher Ambassador Programme, which focused on political affairs and civic engagement in schools. Since 2017, Bill has been undertaking a Master’s degree in Educational Leadership at UCL’s prestigious Institute of Education, seeking to build his expertise of leadership theory alongside his practice.